Automotive Excellence covers all key technical skills students will need while integrating Math, Science, and English/Language Arts, helping to create a class curriculum that meets Perkins legislation requirements. 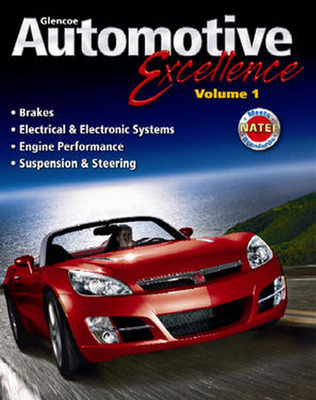 Give your students the skills and knowledge they'll need to prepare for ASE certification with Glencoe's Automotive Excellence Volume 1! Automotive Excellence covers all key technical skills students will need while integrating Math, Science, and English/Language Arts, helping to create a class curriculum that meets Perkins legislation requirements. 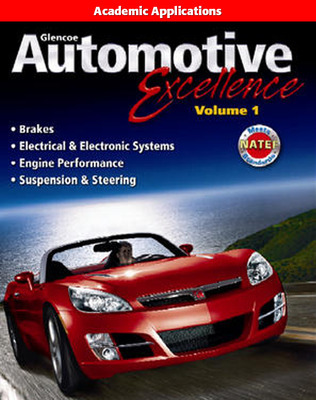 Volume 1 covers Brakes, Electrical & Electronic Systems, Engine Performance, and Suspension & Steering.